#Blackheads are small bumps that appear due to pores becoming clogged with oil and dead skin but #cinnamon and #honey can help in combating this because of anti-bacterial qualities, says an expert. Priyanka Tyagi, trainee head of Skeyndor India, has shared tips on how to get rid of blackheads from your face. *Baking soda: Baking soda isn't just for baking or keeping your refrigerator smelling fresh. The antiseptic quality of it makes it a wonderful product for your skin. It works as an exfoliant to scrub away dead skin cells leaving skin soft and smooth. Baking soda also helps to neutralize the skin's pH, it encourages the skin to produce less oil which means that after regular use, you may be able to say goodbye to those blackheads for good. *Cinnamon: Cinnamon is an anti-bacterial spice that can be used to make an aromatic face mask that offers all sorts of benefits to the skin, including the removal of blackheads. It also helps to eliminate flaky skin as well as acne, and it can be used as a body scrub for a smoother, more glowing complexion. *Honey: Honey is both antibacterial and antiseptic, properties that help remove blackheads by destroying germs or impurities that clog pores, making it another great choice for those with acne related blackheads. 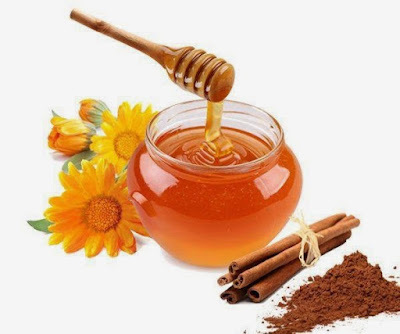 Honey also acts as a natural antibiotic, helping to pull dirt from the pores of the skin to clear blackheads as well as tightening and hydrating the pores for a clearer complexion. *Epsom salts: Epsom salts are not only great for easing sore muscles, they can also help to remove blackheads. While most of the treatments on this list dissolve the dead skin and oil, the Epsom salt mixture actually pulls the plug out of each clogged pore so they simply wash away. *Egg whites: Egg whites offer numerous benefits to the skin. They're rich in protein which offers skin toning properties and helps to promote wrinkle free skin. Due to their ability to tighten skin and minimize pores, using egg whites is especially good for oily skin and reduces the chances of future blackheads while removing current blackheads at the same time. This method draws out sebum and pulls out any deep within the pores. *Green tea: Instead of spending endless hours attempting to pop, rub or concentrate clogged pores from your face, have a go at utilising an all common cure, green tea, which is high on antioxidants. It not only diminishes oil and irritation on the skin, but serves to secure it from future harm. So next time you discover small dark obstructed pores covering your face, just brew up green tea to help ostracize the zits for good. If you want to apply this solution you will need some items like one saucepan, drinking glass, soft towel, gentle face wash, cotton ball and two bags of green tea. To stay updated, visit InstaMag or connect with us on Facebook, Twitter and Pinterest. Visit our yet another website on Food recipe and health tips (largest collection of Indian and International recipe) - Imperial Inn! How to get happy feet this winter!